This Nomination was submitted April 2, 1998 and accepted by the Seattle Landmarks Board on April 23, 1998. Along with a thirty-piece set of full color, indexed photographic views of all 1998 building elevations and major interior spaces, eleven copies of a filmed tour of the building on VHS cassettes, a set of twelve historic photos, letters of endorsement from local, regional and national supporters, as well as the audiotaped proceedings of two separate official presentations (nomination and designation), the following submission is on file as a matter of public record at the City of Seattle Landmarks Preservation Board. Interested parties are encouraged view any or all of these materials by contacting the Board at 700 Third Ave (4th Floor), Seattle, WA 98104 USA; 206-684-0228. The Seattle Empire Laundry building (currently known as “66 Bell”) was built in 1913 by Ira S. Harding. The building was commissioned by David Codding Keeney, the owner-founder of the Seattle Empire Laundry - whose previous premises were at Fourth Ave. and Pine St. The architect of the building is listed as Ira S. Harding. The building permit (#128588) was issued on December 10, 1913. The building is located on the corner of Bell Street and Western Avenue, and commands the Northwest corner of the intersection. The site slopes considerably from the building’s original front (the East side) towards the West and Puget Sound ­ which is located several blocks below. Situated on a slope directly East and above Puget Sound, it embodies conditions considered ideal for a flourishing industry at the time it was built. These were proximity to large amounts of water, desirable commercial customers (hotels, restaurants and rooming houses), and the facilitation of frequent deliveries. The structure’s very existence testifies to growth and ambition; both within the laundry business and the city of its day. Today, behind the Western facade of the building is an alleyway; the next street to the West is Elliott Ave. The site also slopes slightly from the South to North. The structure fills an entire 60' x 120' lot, which was platted as Bell & Denny’s 1st addition Block 29, Lot 12. The building is constructed of red “paving” brick with a gray concrete foundation. The roof was originally tar and gravel; it has been renewed fairly recently. The large and expansive windows were the main means of ventilation for the laundry’s original workforce, who dealt with heat of up to and over 100°, as well as several types of heavy machinery and weighty piles of clothing (both wet and dry). The windows have brick sills but no surrounds. Currently, they are painted green as a deliberate contrast to the building’s historic red brick. The building has three stories with a full basement, and the initial concrete reinforcement is very visible. Sanborn maps show the site vacant in 1888, the year pioneer D. C. Keeney came to Seattle. By 1893, there was a structure on the lot, probably the stable Keeney later bought ­ in 1909 ­ from cigar dealer E. C. Winebrenner and his clerk W. H. Gamidge. One yeaqr earlier, Keeney had built himself a spacious home that is still standing near Green Lake. The laundry replaced Keeney's previous facility of the same name, and was purpose-built. On this facade, between the stepped-brick treatments of its pilasters and the parapet which crowns the building, the Seattle Empire Laundry initially advertised its name. This facade held the building’s original entrance: a door, for laborers, on the Northernmost side. Its transom appears original. On the ground level, in the building’s center, a wide garage door marks one former delivery entry. This entry, which is about 12' wide, is a feature of most historical photos of the building. It is especially prominent in the 1937 WPA survey photo. In that photo, one can also see the old (now replaced) door on the South side of this facade. It was then the entry into the laundry’s “will call office.” It is clear from this photo that all windows on the Eastern facade have been replaced in a style similar to the originals. The Eastern facade presents both a decorative and a “public” front, although its onetime prominence is now partially obscured by the Alaskan Way viaduct. The front’s decorative efforts take the form of brick pilasters (around 41" wide) which run from the ground to the roof. Each is topped with stepped-brick capitals and stepped brickwork is also set back between them. Thus, they both “crown” and separate the large window bays. Several feet above these is another decorative parapet. With a slightly more complex lacework of bricks being created out of the same brick which forms the building’s “body text,” it appears industrial yet somewhat stylish. The Southern (Bell St.) view of the Seattle Empire Laundry building is indeed remarkable. Its nine full-length pilasters separate eight window bays on each floor (four of those on the top, however, have been blocked by a billboard). The stepped-brick capitals and the uppermost parapet complement these extremely expansive windows. In total, it conveys an intact picture of the pre-labor movement influence on the architecture of a typical industrial building (mill construction). Between the stepped brick and the parapet on this facade, the laundry once lavishly advertised its names ­ even as they changed throughout the years. In 1951, the building was bought as a plant by James Branson Simpson’s Arctic Fur Company. After his company’s merger with the Alaska Fur Company, in 1959, the ‘branding’ tradition was not merely continued, but amplified. With 1950’s promotional zeal, the new “Alaska-Arctic” hung a large commercial billboard along the Southern facade. Behind it lurks the laundry signage from the 1930s. On the South facade the slope exposes only part of the old basement windows. They have been partially replaced (one pane each), but mostly they are now filled in with opaque glass bricks. WPA Survey photographs from 1937 show a fire escape on this facade, which served the first to third floors. This was removed by the present owners some time after 1987. The West facade now directly faces an alley. It has a replacement garage door on either side, as mentioned. The Southernmost door is hung on the original track and marks the back delivery-route for laundry-wagons. The Eastern door on the Northwestern corner of this facade, is now recessed and mechanical. But, originally, it was two one-piece doors, which were opened to ventilate the heat from the boiler-room. A large electrical equipment area between them is safeguarded by metal screening. Formerly, it was a large window, exactly similar to those remaining on the floor above. Each upper floor has three nine-light metal single-hung windows and a single, smaller window. There is a one-brick sill beneath every window. Comparing this with the photo of May 17, 1915 (used by the Port of Seattle on a “then and now” pillar at the entrance to its Bell St. Pier complex), one sees the upper three floors appear almost unchanged. The Western facade has but a simple brick cornice and parapet. Due to the brickwork which marks the path of the laundry’s vast chimney, this facade’s disposition of window bays is different. There is no attempt to make anything decorative of this elevation, so there are no pretensions here for the “public.” The Western facade thus demonstrates the truth of the building: at the laundry, everything was business. The North facade is also topped simply with a brick cornice and parapet. But it is also little changed. Superficially, it offers a less “charming” period view. But, importantly, this elevation retains all but one of its original windows. (The single exception is near the lowest Southeast corner.) These windows are primarily four pane-over-four pane light double-hung wooden sash windows. Each has a single-brick sill. Most importantly of all, the four small windows which ventilated the steam laundry's "drying room" remain completely intact. They are the true signature that marks the building construction as that of a historic steam laundry. The slope of the North also exposes some of the basement windows, many of which also appear to be original. These are smaller-paned, six-over-six wooden windows. All are currently screened for security. Few interior alterations have been made to the structure; to walk into the building is to enter a time capsule. Nothing of its past is hidden from you ­ every rough edge has been left quite clearly exposed. The whole interior has a rough and unpolished character, one which unashamedly retains its industrial roots. The floors are laminated fir with fir trim. Ceilings are still painted wooden boards; there are raw brick walls and exposed piping. A study of the retaining walls indicates the large and open (industrial) layout has been changed minimally to accommodate residents. The main support column is 24" x 24", with concrete footing and a span of 12'. The first-floor joist, laminated, is 2" x 6". Inside the Eastern facade’s original (workperson’s) entrance, the path once offered to the laundry worker is clear: a steep, industrial-width staircase leading straight up, from first to third floors. This stairway, with its contingent landings, is reminiscent of its earliest function. All the stairs also retain their original lamination, but are extremely worn. Clearly, they have been trodden for many years by laborers. On each side is a wooden hand-rail; the hand-rail to the right is attached to the raw brick wall. The stairway structure is wooden and both have dual wooden handrails. Piping is exposed to the sides and beams are exposed above. The visitor is surrounded by original building materials such as beaded lath. The building’s basement is all brick, entirely reinforced by 17"-thick concrete, as part of its creator’s “purpose-built” scheme for a cost-effective laundry. Somewhat inside the basement’s Northwest corner, one can easily see where the 45' x 45' boiler-room sat. (It was set 4' below the level of the basement floor. The actual boiler sat on a 30' x 45' concrete slab 8' thick, as a “fire-proofing” measure.) The inside Southwest basement retains a 2' slope over 25', which is the driveway formerly used by delivery trucks. Ceilings here are 12' from the bottom of beam to floor. An exposed 10" x 16" wood beams run North to South, 7'6" from center of beam to center of beam. A series of 12"x16" wooden beams run the length of the building (120'), East to West. Fourteen 2' square concrete posts support the concrete ceiling cited in the early Sanborn maps. They are augmented by four 12" square wood posts, which are sited along the Southeast corner. To the fore of the basement’s Eastern section sits the abandoned elevator shaft. Each floor of the Seattle Empire Laundry had its task ­ soiled laundry deliveries and work with the boilers took place in the basement. Although the boilers have vanished, along with machines like the “mangle,” evidence of their existence and former placement remains. [As the attached dissertation on historic context notes, within three years of the building’s construction, its laundry workers officially sought legislation “against work in basements or below street level”; Seattle Union Record April 7, 1917]. The first floor was dedicated to the laundry’s washing, and had to bear the weight of heavy, fast-moving machinery such as the mangle and “the extractor.” The first floor ceilings rose to 16' (bottom of beam to floor). The height, like the large windows visible from outside the building, was an attempt at mitigating some of the laundry’s quite extreme heat. The first floor’s wooden beams measure 8" x 20", they run North/South and are separated by only 5'. Every 15', a 12" square wooden post aligns with the center East/West beam which runs the length of the building. The heavy reinforcement of the first floor was required by the task assigned to the second: ironing. Here, the problem of heat was generated not only by hand irons, but also by mechanical pressers and by special steam devices which dealt with collars, cuffs, shirts, shirtwaists, etc. For this reason, again, there are high ceilings and large windows. The ceilings here are 14' from bottom of beam to floor. The second floor’s wooden beams measure 8" x 20", they run North/South and are separated by only 5'. Every 15', a 12" square wooden post aligns with the center East/West beam which runs the length of the building. At least one-quarter of the second floor beams, however, are reinforced on both sides with two 15' long 3" x 12" wooden planks. These are bolted to the sides of the beams in an A-frame style. When, in 1923, John C. Hagen purchased D. C. Keeney’s laundry operation, he cut two openings in the ceiling of this floor to form clothes chutes. These operated between the second and first floors (permit #224814). The third floor, marked on the Sanborn maps as “storage,” was used for the “marking,” inventory, and sorting of laundry. Again, when he purchased the laundry in 1923, John Hagen extended the use of machinery to this floor (permit #227730). Thus the third floor, although it has smaller windows and ceilings (its ceilings are 12', from the bottom of beam to the floor) also exemplifies an industrial interior. The third floor’s wooden beams measure 8" x 16", they run North/South and are separated by 7'6". Every 15', a 10" square wooden post aligns with the center East/West beam which, again, runs the length of the building. The former Seattle Empire Laundry building is an almost perfectly preserved example of an industrial building built “to type” and “for use.” Additionally, it embodies something quite unique: it bears witness to union influence on the industrial workplace. Here are the floorboards worn down by countless feet; the poorly ventilated basement which housed the fearsome boiler. Here are the original floorboards, with their metal patches ­ indications, like their placement, of those spots where machinery once rested. Here, the worn stairwells evidence many tiresome climbs and, on the Western side, they still confront chilly winds off Puget Sound in winter. Everything about the former Seattle Empire Laundry is entirely typical of its industrial purpose: wide stairways; raw building materials; no-nonsense access; large interior spaces; high ceilings; tall and wide windows. Clearly exposed are the huge, old-growth wooden beams ­ closely spaced to bear the weight of workers and machinery. The combination of the structure’s site and period air remain imposing. The appended selection of photographs, taken at various points in time, clarifies how 2301 Western Ave. has become more and more significant as a local landmark. The incremental loss of its historic surroundings, combined with the adverse impacts of development on considerations of height, bulk and scale (most importantly the loss of variation in character), have significantly increased its contributions to the neighborhood. It is now one of very few structures in the immediate area which still preserves and conveys something of the Denny Regrade’s initial industrial character (along with the wooden frame building at 2315 Western Ave., the former S.A.D.D. harness and leather shop at 2401 First Ave., the preserved Oregon building at First Ave. and Bell St., and what remains of the Austin A. Bell building facade). Given the planned nature of the local Business Improvement Association’s “Bell Street Development [Enhancement] Project,” its importance can only increase. The architectural character of the Seattle Empire Laundry building remains remarkably intact and redolent of its economic function. It is the only extant commercial laundry of its era in the Denny Regrade, an era when the Polk Directory lists 61 laundries and 60 “Chinese laundries.” But ­ more importantly ­ if one “listens” to this structure, the building speaks eloquently for past events which had deep effects upon the city, the region and even the nation. These events concerned two quintessentially Northwestern industries: commercial laundries and the fur trade. They directly involved persons, and struggles, of acknowledged regional renown. Most importantly, they also shaped the strategies and the early career of unionist Dave Beck, who in 1952 became General President of the International Brotherhood of Teamsters. Beck led that union through its fastest growth period. As the dynamic, controversial boss of Western Conference of Teamsters, he was for years “excepting the brief rise of Ole Hansen … Seattle’s only truly national figure.” Beck took the membership of the Teamsters from 78,000 to 1,580,000. Both Presidents Roosevelt and Truman asked him to serve as Secretary of Labor, but he declined. Beck was both locally and nationally known as “Mr. Seattle,” and was personally responsible for bringing over $100,000,000 in outside monies to the city. He is, although central, not the only figure in our story. That also features Beck’s early colleagues, Seattle’s laundry workers and drivers; Beck’s business antagonists (Seattle Empire Laundry founder/owner David C. Keeney and the laundry’s later owner, tycoon John C. Hagen). Additionally, from 1951 to 1977, the former laundry played a special role in a different trade: fur. This second incarnation revolved around another early, self-made Seattle magnate: Alaska Fur Company founder, James B. Simpson. Simpson bought the structure as a plant to manufacture gear for American soldiers in the Korean War, but it leapt to unexpected fame in 1955-56. These were the years of the national “Davy Crockett craze,” America’s greatest media-related merchandising phenomenon ever. During the height of American Crockett-mania, Simpson’s plant at Bell and Western was cranking out 5,000 “coonskin caps” per day. This is, by any standards, a wonderfully valuable, varied history. This building embodies the dark as well as the light of the past, both the deeply regional and the famously national, the history of everyday working life and of TV’s early mythology. We urge you to listen to this building’s singular saga, as we have found it in archives and headlines, letters and memories. But we remind you it also has a living component: the better conditions for today’s workers which were forged by the early struggles of its onetime occupants. Below we outline the building’s significant association with three specific events in labor history. These events created central changes in the lot of a unique female population ­ the women who labored inside Seattle’s larger laundries. They also enabled those women’s colleagues, the laundry and dye workers drivers, to shape the West Coast future of the Teamsters union. The reason for the latter connection comes through one individual; for these events mark ­ in 1917, the middle 1920’s, and 1932 ­ the inception of Dave Beck’s lifelong involvement with labor. Through them, Beck would hone his philosophies and form his strategies. By the time of Keeney’s expansion into 2301 Western Ave, a laundry workers’ union had existed for some years but, given the owners’ power, it had “a very small percentage of the laundry workers of the city as members. To join … meant discharge. No laundry owners of importance in the city allowed members of the laundry workers union to work in their plants.” They operated as one: a “powerful organization of laundry owners.” “Discharged employees were blacklisted and employment in other laundries could not be secured. Laundry drivers who for any reason severed their relations with an employer could not again drive a laundry wagon in Seattle for one year.” There was a reason for this intransigence: the laundry business had entered a boom, one which would last for the first quarter of the new century. By 1912, it had become the city’s sixth-largest industry, employing only 300 fewer workers than the fourth and fifth (breweries and coal). The laundry owners defended their growing profits aggressively, and David Keeney ran Seattle Empire Laundry ruthlessly. The year his new plant was constructed, it was denounced in the Seattle Union Record by union delegate Hilda O’Connor. In April of 1914, Keeney was chosen ­ by other owners ­ as one of three laundry owners to serve on a Minimum Wage Conference for Laundries. This committee which also had three laundry workers and three members of the public. Keeney refused to meet with them. Wages were only part of why the public was paying attention. There were also well-founded fears about sanitation. Progressive citizens noted the constant possibility of serious health problems. In the laundries, at high temperatures, soiled, sometimes infectious, fabrics were continually handled, mingled and sorted. (Along with goods from hotels, restaurants and rooming-houses, many commercial laundries dealt with goods from hospitals). The women workers labored all day in overheated rooms (and sometimes in basements),operating equipment, plunging their hands into chemicals, all the while often standing on wet concrete. Few amenities were available to them; often there were no sanitary or toilet arrangements, no break areas and no changing rooms. Shifts were long and tedious; machinery was heavy and dangerous. The ‘mangle,’ a mechanical ironing machine with padded rollers, required a team of six women even to manage it. Heavy, wet laundry was also placed by women into extractors, huge drums which spun fabrics to remove the excess moisture. There were also specialized machines to starch and iron collars, deal with cuffs, gentleman’s shirts and women’s shirtwaists. 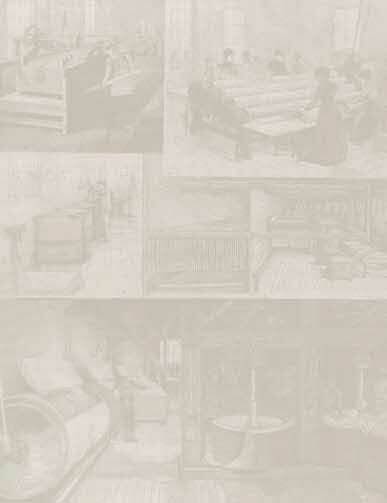 At the Seattle Empire Laundry, these tasks were assigned different floors: washing, extracting, and the mangle were in the basement and on the first floor. Ironing was carried out on the second floor, and the top floor used for storage and “marking” (tagging, listing and sorting). Obviously, such a spectrum would benefit from union protection. But laundries like Seattle Empire had another reason for retaining the interest of organizers. This was their very large number of employees. Due to their harsh conditions and unusual profile, female workers in laundries had a “stupendous turnover rate.” It was, in fact, 357%. And it was the highest where their bosses cared the least: “The laundries providing the best of labor conditions have a labor turnover of 150% while others, less solicitous for the welfare of their employees change their complete working force as many as five times during the year.” As the Seattle Union Record would eventually remark, Seattle Empire Laundry had the worst of reputations. Consequently, it had plenty of “girls” to organize. Although Keeney had declined to serve on the Laundry Minimum Wage Conference, the conference eventually passed a minimum wage law in May of 1914. The result of a commission investigation into laundries, the wage was set at $9.00 a week. Yet the laundry owners still evaded paying it. Some found ingenious ways around this (two Seattle laundries simply traded staff at the end of a ‘working day,’ thus extending the paid-for 8-hour day to 12 hours). Some opposed the very idea a laundry wage should allow a woman to support herself. Unanimously, they continued to oppose worker organization, and D. C. Keeney was among the most outspoken. “A committee of laundry workers called on Mr. D. C. Keeney, manager of the Seattle Empire Laundry, this week for the purpose of ascertaining his views on organized labor generally and the laundry workers in particular. Mr. Keeney seemed to have no objection to his drivers becoming members of the union, but when the matter of his inside employees joining was broached he became very sick at heart and proceeded to tell all the vile features of the union movement. Mr. Keeney said he would not object to employees joining the union, but they must not talk unionism in the plant, on the street or at home. In fact, they would not be allowed to dream about it … Mr. Keeney’s enthusiasm waxed warm upon the question of employers organizing, and favored one big pool embracing all the laundries in Seattle. In other words, he believes in a closed shop to this extent. The ‘particular brand’ Mr. Keeney uses seems to have inspired him to lofty ideals. He proposed that if there were no class legislation and no labor unions, the bosses controlled the workers, nobody would be underpaid or overworked. One will note that Mr. Keeney is a profound student of the economic question. Meanwhile, the “girls” employed at Seattle Empire Laundry were earning $6.65 ­ not $9.00 ­ for their arduous week. From 1915, positions like that of Keeney became contributions to a future battle royal ­ one which would continue into the early 1930’s, making both union reputations and union history. One of its principal players would be Dave Beck, the avenging son of an oppressed laundry worker. Beck grew up in Belltown and attended Denny School; he never forgot his family’s early, extreme poverty (“We were always poor, very, very poor. If it hadn’t been for my mother … we would have starved.”). By the age of eight, Beck was scrambling to help financially. At one point, he even shot rats for ten cents’ bounty a rodent ­ winning fifty cents per rat if his kill showed signs of bubonic plague. Late in 1914, Beck got his first full-time job: as an inside washroom wringer at the Central Wet Wash laundry. There, after learning personally what the inside workers suffered, he joined Local 24, the laundry workers union. Local 24 then represented all laundry and dye workers ­ as well as all the laundry and dye wagon drivers. At the time Beck joined, interest in organizing the laundry trade was reviving, after a long series of foiled or failed attempts for the previous fourteen years. The President of the national organization even came to Seattle. However, the laundry owners’ power remained so great that only the IXL Laundry dared sign a union agreement. In February 1914, the Seattle Central Labor Council tried to help; they termed the laundry workers, yet again, “the worst-used class of girl workers in the city.” This time, however, there were concrete plans: for a “cooperative,” a “union” laundry, where both conditions and pay would be fair. The laundry owners fought the project tooth and nail, delaying opening of the enterprise until late 1915. But things were about to change ­ for both the girls and the drivers. On April 3, 1917, the International Brotherhood of Teamsters chartered the Seattle Laundry and Dye Wagon Drivers as Local 566 ­ and Dave Beck became a charter member. Although Local 566 organized very quickly, owners refused to acknowledge their existence. The very next day in fact, on April 4, Keeney and his fellow owners responded by chartering a “Seattle Laundry Owners’ Club.” (The final signatory on their articles of incorporation was John C. Hagen. Hagen, who acquired the Seattle Empire Laundry business when Keeney retired, would become both Dave Beck’s management nemesis and yet, in business terms, something of a mirror image). These owners, however, did more than incorporate. They also signed a “blanket lease,” under which each became a co-lessor of the other plants. Under this lease ­ given for only “a nominal consideration” ­ a Club “holding committee” was empowered to seize and operate any plant whose owner agreed to any union terms. There was a $5,000 penalty for the breach of this agreement. The laundry owners were digging in; after all, they had just boosted prices to the public from 10% to 25%. The workers, who had not seen any money from this rise, were restive. In early June of 1917, Seattle had just two “union laundries” ­ Central Wet Wash and the Mutual. Local 24 was also at last beginning to grow. (From 94 members in 1916, it now stood at 118). On June 12, 1917, Local 24 held a “special meeting” ­ to initiate 100 new members. Then at 9 am on Thursday, June 14, 700 laundry girls (out of 1600 inside workers) unexpectedly struck. At a union meeting that week, they had been told the owners’ trust would fire all union members at the end of the week. Therefore, the girls voted for preemptive action. Arriving to work as usual at 8 o’clock on June 14, the laundry girls worked an hour and then staged a walkout. Keeney and the other 16 members of the owners’ club declined to meet at all with the strikers: “[we] positively refused to accede to union demands.” The women wanted better conditions and full union recognition. They also demanded a new wage scale, claiming that average pay (three years after the minimum wage had been set at $9.00) was only $5.87 a week. The Union Record immediately backed them up ­ with front-page photographs. These displayed two experienced women laundry worker’s checks. One had earned $5.97 for the week; the other, $8.62. By the evening of June 14, 1,100 women were on strike; 20 of 24 laundries in the city were standing idle. By June 15, Keeney’s Seattle Empire Laundry was completely shut down. Only eight of the city’s 24 larger laundries were in fact operative (five of these were union shops, the other three were using strike breakers). Within days, the laundry girls were joined by other strikers: Local 40 (the Steam and Operating Engineers) and the recently-organized Local 566. In four days, between 1,200 and 1,500 workers, drivers and engineers had walked off their jobs. When the drivers struck in aid of the laundry workers, it was despite offers of stock in the laundries ­ and better percentages. The newspapers reacted in panic at their defection ­ publishing headlines like “Paper Collars and Towels Loom as Substitutes.” Yet the ‘Laundry Owners Club’ remained immovable; they were prepared for “a fight to the finish against union shops.” By June 19, however, all plants excepting those in the Laundry Owner’s Club and the West Seattle Laundry came to terms with the union. Shortly after the start of the strike, James F. Brock arrived in Seattle. As President of the International Union Laundry Workers, he provided considerable weight and publicity for the workers’ cause. Despite the fact that all their operations were clearly crippled, the Owners’ Club took newspaper ads in which they stated “all the seventeen plants are in operation.” Such claims led to angry editorials elsewhere. The Union Record took the Laundry Owners’ Club to task for lying, calling them “martyrs to the cause of dirty linen and dirty methods.” (Added the writer, referring to their mutual ruthlessness, “’club’ is very appropriate in this case”). By July 6, the Owners knew they needed public redemption: finally, they entered into negotiations with the union. Two days later, the long strike was finally ended, with front-page headlines. With the help of Local 566 and Local 40, the girls of Local 24 had won a wage increase, full union recognition and a closed shop. They also won, as the Seattle Daily Times reported, “betterments in working conditions that are generally regarded as equally if not more important.” This sentiment indicated the role the owners’ cartel had played. Their oppressive arrogance, and their disregard for conditions, had strengthened both the girls’ determination and public sympathies. While other unions declined in power after World War I, Seattle’s laundry workers maintained the strength they had forged. In 1920, they reported 1,000 members. The morning after “peace” was agreed, Seattle Empire Laundry workers were back to the job “as usual.” But their right to bargain for fair treatment would be tested again. This time, the contest would oppose not only workers and bosses, but two of Seattle’s very different rising stars. One was the ambitious businessman John C. Hagen, one of the actual instigators of the Laundry Owners’ cartel. Hagen was born in Bozeman, Montana in 1885 and moved to Seattle at the age of 23. His parents, born in Switzerland, both spoke German ­ and in his new home, their son employed a German-born maid. Less than two years after he arrived in town, the restless Hagen had established a laundry of his own. Initially located on First Avenue, this was the Broadway Laundry Company (a.k.a. Seattle Laundry Company). As his involvement with the Laundry Owners’ Club attests, things went steadily well for this aspiring industrialist. In 1922, when D. C. Keeney retired, Hagen was able to buy the Seattle Empire Laundry business from him. When Keeney died, in 1936, the building’s actual ownership was retained by his son, Seth C. Keeney. To mark this landmark moment in his fortunes, Hagen changed the firm’s name on August 1, 1923: it then became the Broadway Empire Laundry Company. The same day, Hagen changed the name of his original plant, the Broadway Laundry, to Seattle Laundry Company.The purchase did indeed eventually prove a seminal moment. For Hagen ­ an early backer of laundry owners’ trusts ­ became much more than just an industry entrepreneur. Through other takeovers of established laundries, he himself built a de facto laundry cartel. It was this business drive, coupled with his scorn of labor, which created head-to-head conflict with Dave D. Beck. Hagen’s acquisition of the Seattle Empire Laundry was his first clue that his ideas could work. He became eager to try further expansion ­ to situate himself with the owners, so this would be possible. (Later the same year he acquired Seattle Empire, Hagen also purchased another successful laundry.) Playing on the paternalistic nature of the industry, Hagen would slowly amass a real laundry “empire.” Eventually, his reach encompassed eight Seattle laundries, as well as companies in Wenatchee, Spokane and Yakima. As John C. Hagen rose, so did Dave D. Beck. He had achieved elected union office right after the strike; on July 28, 1917, he was voted recording-secretary of Local 566. But he also served in the World for a year; from December, 1917 to December, 1918. (A member of the Naval Aviation Service, Beck trained in California and served in Killingholme, England). In Seattle, he settled as a driver for the Mutual Laundry. Beck was so energetic that he was rapidly promoted, from mere driver to route superintendent. At the same time, he was attracting notice in his union. The year Seattle Empire Laundry passed from D. C. Keeney to Hagen, Beck was elected President of Joint Council #28, an association of all the Teamster locals in Washington. In December of 1924, 50 drivers petitioned Beck to run as the business agent (principal officer) of Local 566. This meant leaving a $110 per week driver’s job ­ for a $40 per week union post. Beck later said it occasioned “the only fight I ever had with my first wife, and we were married 47 years.” In the actual election, Beck defeated an 8-year incumbent, by a vote of 140 to 88. But he was, at last, the head of a union. Beck then became his Laundry and Dye Wagon Drivers Local’s delegate to the Joint Council of Teamsters. (In 1924, he was elected to the Joint Council’s Executive Board and served on the Officers’ Reports Committee of the Washington State Federation of Labor’s annual meeting.) Rapidly, he was becoming a figure of union importance. In December 1918, Beck had just arrived home from the war. For clothing, he still had only his Navy uniform. Yet, on the very evening he returned to town, Beck was invited to address Local 566, on the subject of a looming General Strike. He derided the idea of the strike in ringing tones. The firebrand in his sailor suit won a standing ovation. And his union did not then endorse the strike. Local 566 was the only Teamster union to vote against it. Like the first-generation American John Hagen, Beck ­ who had come from the slums ­ would enter Seattle society via business. But Hagen joined the Broadmoor Golf Club and Washington Athletic Club. (Ambrose Richards, his new Broadway Empire Laundry secretary, for 30 years attended every Seattle Kiwanis Club meeting). Beck, in contrast, established a national presence, wielded a national influence ­ and then, for two and a half years, served time in prison. But, strangely, each helped shape the future of the other. This arrangement, of course, left drivers with the lion’s share of risks and costs; they were forced to become virtual owner-operators. Although Beck profited by his ambition and energies, he saw this as another inequity of the industry. But, as he later revealed, Beck’s decisions were also political. “I was perhaps one of the two or three highest paid drivers of the city, based on my ability to go out and earn on the commission system. I knew that I either had to go in and become an investment part of the laundry industry and get away from labor completely or else I had to get over into the labor movement, because I had reached the saturation point of earnings in the laundry industry.” Beck knew he had talents and abilities; he did not want them limited. As business agent of Local 566, a regular part of Beck’s duties took him inside every laundry. At the Broadway Empire Laundry, as at others, he realized that Hagen had changed Keeney’s working conditions little. So, Beck launched a vigorous organizing drive ­ then set out to negotiate directly with owners. It was, of course, a recipe for conflict. The old Seattle Laundry Owners’ Club was formulated quickly, when a strike loomed in 1917. But the owners’ cartel behind it still smarted from their loss. In 1918, they became the Seattle Laundrymens’ Club, with a formal office in the Arctic Building. Their aim (in pamphlets with titles such as “All About Laundry”) was to present owners ­ not workers ­ as their industry’s “face.” By 1924, with offices in the Securities Building, they had become the “Seattle Laundryowners’ Association.” They also forged an alliance with the Washington Laundry Owners. Beck, however, was amassing power of his own. In 1925 he became Secretary of Seattle’s Joint Council of Teamster ­ and proved instrumental in preventing a spring strike (between the General Teamsters and the Truck Owners’ Association of Seattle.) That May, however, negotiations began between Locals 566, 43, 40 and the Laundry Owners’ Association. These negotiations would eat up almost nine months ­ and they involved much more than renewing the unions’ agreement. The owners, led by Hagen, wanted revenge for 1917; they were determined to assert control over their industry. And, as John Hagen made clear, they wanted to crush the troublesome unions. Hagen saw this proposition as insuring his future. He might not acquire his next laundry until 1929, yet he envisioned a future of such acquisitions. It was a future, Hagen felt, which depended on crushing labor representation. The negotiations began in the late spring of 1925 and involved 2000 workers. In May, Local 24 had presented a new wage scale to the city’s Central Labor Council. It requested a 44-hour rather than 48-hour week, with a modest wage increase for the lowest paid “girls,” below “8 or 9%.” Hagen and his Laundryowners’ Association ­ yet again ­ refused to meet with union representatives. Instead, they publicized their “ultimate determination to establish the non-union shop.” While Hagen’s association refused to budge an inch, Beck had his eye on an upcoming civic event. On August 13, 1925, Beck wrote to Hagen directly. In the face of deadlock, he proposed arbitration. Hagen waited seven full days to reply (Ironically, both Local 566 and the Laundryowners’ Association were housed in the Securities Building). The owners, Hagen told Beck, would “gladly submit” to a plan for arbitration ­ as long as wage reductions were considered and the open shop was part of any deal. Hagen’s letter was a masterpiece of provocation, complete with a postscript which offered Beck the chance to solve everything. All he needed to do was sign and return Hagen’s screed. During August and September of 1925, letters flew back and forth between Beck and Hagen. Beck consistently asked for negotiation and arbitration; Hagen (now styled Chairman of the Associated Laundries of Seattle) mocked him, scorned him and obfuscated every issue. He also accused Beck of trying the gouge the customers, of ignoring conditions country-wide and of “risking” the industry. Hagen’s correspondence is verbose and pompous; Beck, by contrast, limits himself to the points at issue. He was not about to flinch at John Hagen’s baiting. Nor does he demonstrate a need to inflate his image. Beck was also busy arranging the Teamster Convention. As Secretary of the Arrangements and Credentials Committee, he not only fixed schedules, hotels, and entertainments. When the Teamster bigwigs finally arrived in town, Beck arranged for many of them to sit in on laundry “bargaining sessions.” The observers included figures such as Dan Tobin (President of the International Brotherhood) and San Francisco’s Mike Casey. For them, Beck’s “adroit performance” in outwitting antagonists left them with no doubt about his singular talents. Beck also gained much attention at the convention itself: he met and charmed both delegates and their spouses. From the floor, his quick thinking even helped President Tobin ­ to avert an embarrassing constitutional fight. By the convention’s end, through a range of means (which included turning down influential positions, because there were “more deserving candidates”), Beck had solidified his support and friendships at national level. Beck, however, was accommodating. He immediately accepted, as did Local 24. Matthews’ plan called for each side to select one representative ­ who, in turn, would name a third, acceptable to either side. Beck and Hughes put forward Short as their representative. (He was, they realized, a close friend of Matthews ­ and Matthews, Beck would later note, was trusted by all participants.) Problems developed, of course, around the choice of each third arbitrator, eventually causing a change in the entire formula. By the end, negotiations required a whole coalition: Matthews, Short, William E. Penney (President of the Federated Industries), Mayor Edwin J. Brown and A. G. Bixby of the Seattle Times. Even so, several times a strike was narrowly averted, especially when ­ some months into “good faith arbitration” ­ Hagen’s Associated Laundries broke off negotiations. In a last-ditch display of despotism, they suddenly announced to the press that “henceforth their plants would be conducted on an open-shop basis.” Local 24 then voted almost unanimously to strike. But Rev Matthews pressed hard on Hagen. In the end, the Empire’s owner was brought back to the table ­ and, finally, forced to accept unions within his industry. Publicly, the Laundryowners capitulated, posting billboards which recanted statements made just one week earlier. A further week later, on February 20, 1926, the unions and the Laundryowners ­ Beck and Hagen ­ came to terms. The union girls of the Broadway Empire Laundry earned a minimum wage of $16.50 per week; they had asked for $18. Instead, after nine months, they received $17.25. But their “apprenticeship requirements” were abolished. These requirements had kept wages to $13.20 per week, for periods that ranged from three to nine months. Given the high turnover in their arduous workplace, three to nine months might comprise a woman’s career in the laundries. The 4-hour reduction in the work week they asked for was lost; the girls had waived it to continue negotiations. “The task of bringing about final consummation of these agreements occupied the major portion of the time of your president from the adjournment of the last convention until the end of February, exclusive of the two months spent in Olympia attending the sessions of the Legislature. For Matthews, also, it was his “most dramatic role” of the decade. Beck and Hagen remain linked by the laundry at Bell and Western, which crystallized both their attempts to become dominant in the industry. Each had used it for imperial aspirations ­ Beck used its circumstances, at a moment in time, to test his wiles and build up his power. Hagen, more simply, saw it as the cornerstone in an empire: one which he was starting to buy up and consolidate. Although, in 1925, they seemed polar opposites, hindsight reveals they shared certain characteristics. The fact that Beck ­ however long it took ­ had averted strikes in 1925-26 did not pass unnoticed. Robert Lewis Schwellenbach (later Secretary of Labor under Harry Truman) and Robert McFarlane (eventually president of the Northern Pacific Railroad) were law partners with big commercial laundries as their clients. In 1926, they were engaged in forging a laundry merger ­ like Hagen, they envisioned a giant, chain operation. But Schwellenbach and McFarlane hoped to bypass labor problems, with an experienced superintendent who knew business from both sides. They wooed Beck ­ still business agent for Local 566 ­ for this position, with a hefty salary. Fifty-two years later, Beck remembered how tempting it was. Beck talked the offer over with Teamster Mike Casey in San Francisco. Casey, convinced Beck would surely “go over” to business, wrote to the International’s President Dan Tobin. Tobin quickly wrote to Beck, offering to subsidize his salary from Teamster resources. Thus, while still paid as head of Local 566, Beck became a part-time organizer for the International Brotherhood in the Pacific Northwest. Early in 1927, Tobin appointed Beck a full-time organizer ­ and he finally gave up his salaried job with Local 566. In recognition of his service to the union, however, Beck was made “president” of the Laundry and Dye Wagon Drivers’ Union. It was a quasi-honorary position he still held in the 1950’s. “In later years,” reported Donald Garnel, “Beck rejected numerous business opportunities, often at salaries well above what he receive in the International Union having felt that his proper niche in life was organized labor.” As Schwellenbach and McFarlane had observed, Beck had every quality required for success in business: observation, innovation and perseverance. Just like John C. Hagen, he used them to make an empire. But, whereas Hagen created his dominion through purchases, Dave Beck’s singular empire was self-built. In 1930, Beck negotiated a five-year contract for the laundry drivers. But Hagen, too, was trying to move ahead with his plans. Having acquired yet another flourishing laundry business, he re-baptized the Broadway Empire the “Empire Laundry Company.” The unions had not succeeded in ending the owners’ cartel; it had simply changed title, to the “Northwest Laundrymens’ Association.” Just as John C. Hagen began to negotiate with Oscar W. Nelson to buy yet another laundry, the cartel’s force re-emerged. The 1917 strike had featured parades and public sympathy. This one, from its inception, involved strike breaking, pitched battles and destruction of property. The first calls to police occurred on August 5, when 80 striking employees engaged with strikebreakers. The women fought with hatpins and knives and even pots of pepper; and three of them were detained by police. In another incident, a would-be scab was badly beaten. The women injured ranged in age from 22 to 53; many were afraid to inform police of their names. The day before, members of Seattle Laundries, Inc. held an emergency meeting all afternoon. But, as always, they declined to answer charges ­ or to make any kind of public statement. Hagen, however, was losing control of his prize possession; by Saturday, girls started walking out of the Empire Laundry. That evening, “warfare broke out anew” ­ police alleged that women pickets beat a non-union man, stoned a scab delivery driver and stole bundles of laundry. August 8 proved a bitter day for Hagen. It began when owners and striking workers were called to Mayor John Dore’s office. By noon, however, they had failed to reach an agreement. “Nobody,” Dore told The Times, “seems to have an idea.” Outside, both bricks and tomatoes were still being hurled through laundry windows. Then, Local 24 called out yet another plant. This time it was Hagen’s first purchase, sited in Seth Keeney’s massive Bell and Western building. Although some of its workers had already joined the strike, Local 24 had not officially called out the Empire Laundry. But, when that call came, the building soon emptied. As it did so, hundreds of women ­ including Empire staff ­ headed off to a mass meeting at the Labor Temple. There, they endorsed Mayor Dore as a mediator (while rejecting the Reverend M. A. Matthews). Calling the Empire staff out finally forced an end to the strike: by seven pm, Hagen was back in Mayor Dore’s office. Confronting him on the part of the laundry workers was William M. Short ­ the ally whose loyalty Beck had secured seven years earlier. “We are going to stay here,” Dore told the men, “until we have a decision … We can’t turn the entire police force over to parade up and down in front of a few laundries. If you persist in this policy, you may start something nobody can stop.” There were plenty of “angry words” and “hot charges” but, by 10 pm, Dore ­ and the workers ­ had a compromise. The laundry workers’ minimum wage would be $15 a week, with some salary adjustments in the higher brackets. As for the vexed question of holiday pay, the laundry “girls” would work on a per-day basis. As a result, there would be no holiday pay. Once again, however, the closed shop was still preserved. Of course, the person behind Short’s presence there was actually Beck. Not only did Beck understand the plight of the Empire Laundry’s women; he had actually trodden its steps, met the women workers and brought his ambition to their aid. He roused the laundry drivers to a sense of power and fellowship. He made Seattle’s “most ill-used of toilers” a priority for much stronger, larger unions ­ partly by bargaining for them in front of famous visitors. For the final showdown on their behalf, Beck produced a unique legal challenge. It was calculated to move the city, its prosecutor and the Mayor towards a resolution. “It is perhaps ironic,” writes Jonathan Dembo, “that despite its … small size and weakness, it was Seattle’s Laundry and Dye Wagon Drivers Local 566 that produced Dave Beck, the most powerful and dynamic leader in Teamster’s history.” Ironic, perhaps. But it was not just Local 566 which produced that David Beck. It was the type of struggle waged every day in this red brick building in the Regrade, first under D. C. Keeney, then under John C. Hagen. Both Keeney and Hagen tried to crush their workers with the amassed force of the powerful owners. Yet, thanks in part to the very persistence of their oppression, both Beck and the laundry’s women learned how to win. The building’s David-versus-Goliath history continued to have repercussions. David C. Keeney died on March 2, 1936, at 5:15 pm. The old laundry pioneer had lived to be 78. Once he ruled Seattle Empire Laundry with an iron fist, aided by those colleagues who helped him form the first “cartel.” But as his body lay in state at 1702 Broadway, Seattle florists began to make telling deliveries. From the family came a large “spray of daffodils and calendula”; from J. C. Hagen, the lessor who had proved even more ruthless than Keeney, a respectful “spray of deep red roses” arrived. But messengers also delivered a small “spray of red roses” from the Associated Laundries of Seattle. The “ALS” was all that remained of Keeney’s and Hagen’s cartels, whose power had cast such a shadow over Bell and Western. Now, however, the sender was head man William M. Short. Short ruled the Association ­ and the laundries ­ because of Dave Beck. A series of changing names marked the decline of the old “cartel”: from the Associated Laundries of Seattle, it became the Laundries and Dry Cleaners Association and then, by the 1950’s, the Seattle Laundry and Dry Cleaning Institute. In 1947, its chief ­ still William M. Short ­ passed away at the age of 60. At his funeral, Beck and Hagen met once again; both were called to serve as honorary pallbearers. Short was succeeded not by another Hagen, but by his son, William H. Short. That son died in 1979, having for 32 years also served as head of the Pacific Northwest Laundrymens’ Association. Simpson was born in Fairhaven (now Bellingham). He was the youngest of seven children. His mother Henrietta hired out as a cook and headed for the Klondike in 1888. “J. B.” spent one year in a Tacoma children’s home. But he then joined his mother in Bennett, Alaska ­ where she had established the town’s first bakery. Later, J. B. worked as a newsboy in Dawson, until the family moved again to San Francisco ­ just in time for its devastating earthquake. “Fifty percent of the Arctic Fur Company’s net profits are divided among the employees in the form of stock. The bonuses so distributed may be withdrawn in cash at stated intervals, but except in rare instances, the employees are glad to retain this stock, which yields handsome profits. In 1929, the Arctic Fur Company was comprised of the “J. B. Simpson Fur Company” and the “Seattle Arctic Raw Fur Company.” Together they dealt with all the principal world markets. They managed two Seattle retail stores ­ as well as establishments in Tacoma, Portland, Los Angeles, Reno, Beverly Hills and San Francisco. By 40, Simpson had indeed achieved his declared ambition: officially, he ceded control to his nephew Melville P. Steil (also raised in Alaska). Actually, however, Simpson never retired. Instead, he became a powerful Chairman of Arctic Fur’s Board of Directors. In 1939 (the firm’s fifteenth year), Steil oversaw a $25,000 remodel of the old Third Ave frontage. Company Vice President Frank P. English, Treasurer B. P. McNally, and Design Manager John Willers were lauded as local leaders in a newspaper article bannered: “THEY DIRECT DESTINIES.” By then, the Arctic had branches in eight Western cities. But it was Simpson who always drove the business ­ the veteran spent time ensuring destiny was directed his way. His favorite conduit for this was Senator Warren G. Magnuson, with whom he developed an extremely persistent relationship. Letter after letter was fired off from the Arctic Fur offices, engaging the Senator’s energies with regard to upcoming contracts. Sometimes Simpson penned them himself; other times, he merely directed the letters. Always, however, the inquiries were pointed. Did Magnuson know about this deal? Could he influence that one? Could he not be of help to his friends back West? It is clear from their correspondence [a selection is appended] that Simpson was an energetic inside trader. Sometimes, too, he got the information he wanted. After all, Magnuson cared about his constituents. The plant to which Bartley refers had been in the Securities Building. “Mr. J. B. Simpson of the Arctic Fur Company telephoned here today regarding the Army contract for fur strips which he said he had discussed with you recently. They are meeting with very strong opposition from the CIO fur organizations in the East, the Seattle Fur Workers Union being the only one not under the CIO. Whether or not it was due to Beck’s intercession, Simpson received his War Department orders. In May of 1951, after purchasing Keeney’s building, he started operating it as a fur plant. Simpson’s new premises required little alteration, but he did install a personal office on the top floor. From there, he would call in to direct operations, mostly fur contracts for the Korean War. By the mid 1950’s, things were booming at the plant. Not only did Arctic Fur profit from the military. An even stranger windfall made it unexpected millions ­ and brought it national fame, thanks to television and Disney. It all began, in 1954, during the days after December 15-22, when ABC aired a Disney program called “Davy Crockett, Indian Fighter.” This was the first of a three-part series, filmed for the company’s Disneyland anthology (Disneyland was divided into stories intended to fit four themes: Fantasyland, Tomorrowland, Adventureland and Frontierland). By the time “Davy Crockett, Goes to Congress” was broadcast ­ on dates from January 13-31 in 1955 ­ Disney’s slice of Frontierland had set off a national craze. “In May, 1955, Time estimated that in the first three months of the craze alone, over $100,000,000 of Crockett merchandise was sold. When it was over, an astronomical $300,000,000 in Crockett commodities had been sold. Divide that by the thirty million consumers in the 5-14 age group, and that works out to $10 per kid. While Simpson ran his “coonskin factory” at Bell and Western, Crockett mania swept Seattle along with the rest of the nation. Allusions to Davy peppered every part of life. IGA advertised the “Chance to Win a Davy Crockett Log Cabin Playhouse”; the pioneer’s real-life grandson (a 55 year old accountant in Dallas) told local paper readers how the craze had changed his life and, in Spokane, an Indian “known as Davy Crockett” was profiled in detail. Even in an article on suburbanites the subjects were classed as “kings of a new frontier” (“Brave Suburbanites Are Today’s Davy Crocketts”). Perhaps the most contentious local tie arose via an enterprising Ballard cinema owner, Hall Baetz. Baetz remembered seeing an Edward Small film about Crockett; it had been made five years earlier. Characterized in the local press as having “unusual success with a series of art pictures … and wholesome programs for children,” Baetz claimed to be “working closely with PTA groups in scheduling children’s fare.” In fact, he located a print of Small’s ‘Davy Crockett, Indian Scout’ from a distributor based in Utah. He then shopped it round to a set of local theaters: The Burien, The American, The Ridgemont and the Sno-King Drive-In. All agreed, with The Ballard, to form “a temporary Davy Crockett circuit.” It enabled them to cash in on the forthcoming Disney film, prints of which would not reach Seattle for weeks. “‘One of the most shabby practices among movie-theater owners is being displayed these days in their advertisements for ancient, Grade-Z cinema regarding the life and times of Davy Crockett, or the ‘son’ of Davy Crockett. With him in spirit were angry Seattle parents, dragged to the film by children who were both puzzled and disappointed. (“There was none of the now-familiar music,” one parent wrote the Times.) The hullabaloo raged for weeks over ‘Indian Scout.’ But the participating theaters plugged it unrepentantly. Meanwhile, Simpson’s coffers grew fuller and fuller, bolstered by the obsessive style of Crockett fans. At the height of the craze, this was described by Life Magazine as “having a sudden and shattering effect on the nation’s home life” ­ perhaps because fans even wore their caps to bed. “In the top floor loft of his four story brick building at Western Avenue and Bell Street, James Branson Simpson, a wealth but leather-tough old sourdough, is surrounded by timberwolves. Also the pelts of uncounted muskrats and wolverines. Simpson, 73, is one of Seattle’s truly colorful personalities, a fabulously successful fur speculator and owner of virtually every timber wolf pelt (plus most other varieties of wolf pelts) in the United States today. Six years later, J. B. Simpson died, willing his plant to Alaska-Arctic board member Otto Johnson. With his sister Christine, Johnson managed it for three more years. Then, he sold the property to Brodie Hotel Supply, Inc. The structure would go forward to many other relationships ­ with the pioneering Lincoln Arts Association, with a Shakespearean theater troupe, and with numerous Seattle musicians and artists. All, however, have inhabited a space filled with history, an unchanged building through which one encounters our past. Here are the heat of the laundries and the chills once warmed by furs. Here, real secrets are hidden within the huge beams and in the walls. The old laundry holds the ghosts of the women who labored and struggled; of Dave Beck’s tread on the worn-out fir floorboards; of the threat of a visit from Keeney or Hagen. And ­ do you really know your “coonskin cap” wasn’t made here? Obit, Seattle Daily Times, March 3, 1936, p. 7. Jones, Nard, Seattle (Doubleday), 1972, p. 176. McCallum, John D., Dave Beck, Gordon Soules Book Publishers, 1978, p. 95; research by William Mullenholz, Comptroller of the International Brotherhood of Teamsters, quoted by McCallum on pp. 95-97. Seattle Union Record, September 27, 1913 p. 4. Seattle Union Record, April 25, 1914 p. 8. Seattle Union Record, September 7, 1912 p. 5. According to Beck. McCallum, John Dennis. Dave Beck, Gordon Soules Book Publishers, 1978, p. 47-48. F. C. Kilbourne, a leader among the owners felt “the laundry industry should not be compelled to support those engaged in it. They should have an income from other sources.” Seattle Union Record, August 26, 1916. Polk Directories; Seattle Times, November 5, 1968 p. 18; Incorporation papers, city dye works?? ?